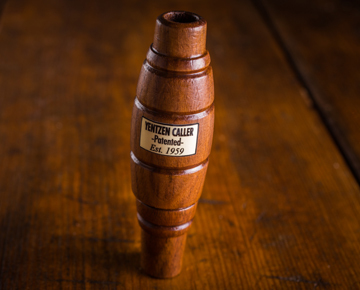 The Sure-Shot Deluxe Pintail Call styled in our custom Black Walnut and a Poly special whistle. Designed to duplicate the sounds of the Pintail duck perfectly. Tuned by hunters for hunters. Sure-Shot Game Calls Deluxe Pintail Call will set you up for success to take your next Bull Sprig Pintail trophy!